Specializing in char-broiled steaks, chicken steaks, fresh pit cooked BBQ. They have a very popular burger menu, along with their stuffed potatoes entrees. The store has that retro western feel, with the wooded tables and booths, and a variety of western collectables on the walls. Debbie had broiled catfish and a baked potato. 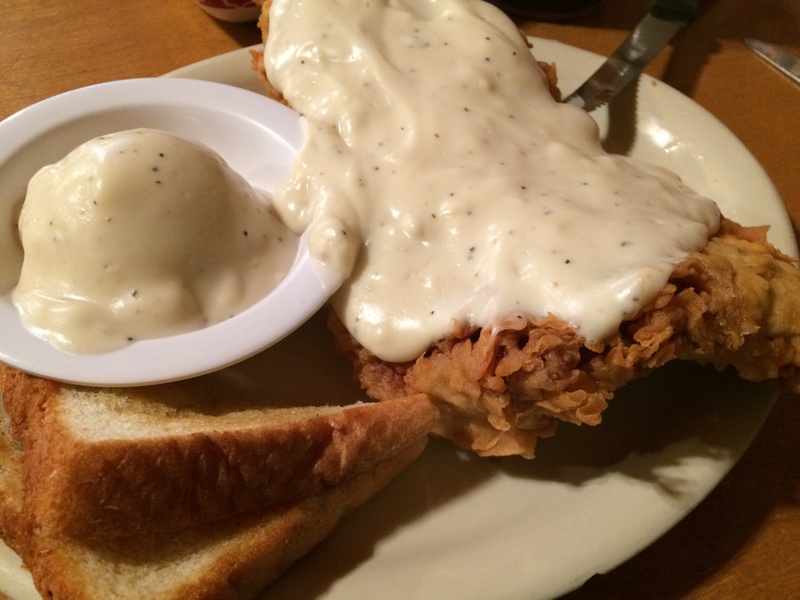 I enjoyed their signature “Chicken fried steak” with white gravy and mashed potatoes. When the waitress brought it to the table, Debbie asked “are you going to eat all that?” My reply” They make everything big in Texas, I don’t want to hurt their feelings”. Food and wait service was great! See you next trip through Texas! Visited in Early June 2017.